Install a Gate: Your fencing should completely surround your pool and be at least four feet high. Use Pool Covers: Even though you live in Florida and might not need a pool cover, they can be used to deter children from wanting to enter the pool area. Learn CPR: Make sure that you and the members of your household are well versed in CPR and that you have the proper rescue equipment on hand. 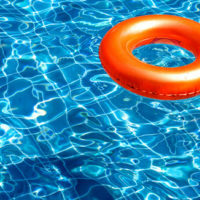 Always Check the Pool First: If a child goes missing, make it a habit to check your pool first, even if the cover is on. Install an Alarm: Implement a system that alerts you to when the surface of the pool water has been disrupted. Never rely on posting warning signs such as “Swim at Your Own Risk” to prevent injury or protect you from a lawsuit. Though owning a swimming pool can be a great deal of fun, it can also be stressful and even detrimental. However, if you are set on owning a home with a backyard swimming pool, reach out the Miami accident lawyers at Spencer Morgan Law for advice on what you can do to reduce your liability should an accident or injury occur on your property. To consult with a member of our team, call us at 305-423-3800 today.